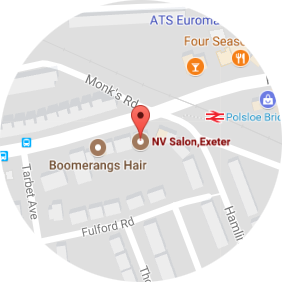 To ExeterOsteo.com. Only £40 per treatment. Osteopathy can help improve pain and stiffness in backs, neck, shoulders, arms and legs. Jo can offer specialist osteopathic treatment of sports related injuries alongside his general osteopathic skills and experience. Osteopathy can help improve pain and stiffness in backs, necks, shoulders, arms and legs. Jo has over 28 years’ experience of general osteopathic practice, with a specialist interest in treating sports injuries as well as common sprains and strains. Registered and insured by the General Osteopathic Council. Your GP does not need to refer you. 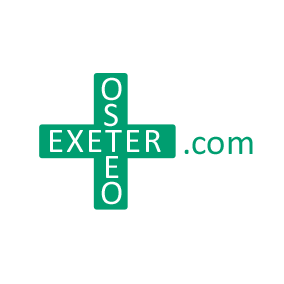 ExeterOsteo works with most health insurance providers. Osteo-arthritis, Frozen shoulder, Achilles tendonitis, ‘Golfers elbow’, Hip and gluteal pain, ‘Tennis elbow’, Sacro-iliac strains, Shin splints, Torticollis, Rotator cuff tendonitis, Sciatica. If your problem is not listed above, ring Jo to find out whether he thinks osteopathy can help you. After graduating from the British College of Naturopathy and Osteopathy, London, in 1990 (now the British College of Osteopathic Medicine), Jo Moretta furthered his clinical skills by working alongside experienced practitioners in Osteopathic practices both in Britain and New Zealand in order to learn from their years of accumulated knowledge, experience and specialisations. By 1996, feeling he had aquired a sufficient base of skills to practice without mentors, Jo co-founded a multidisciplinary practice in Scarborough, North Yorkshire. The practice expanded to include many therapists in a successful, popular and respected practice that continued to grow and prosper for over ten years. Scarborough was also where he met his future wife, Louise. They moved to Exeter in 2007 for Louise to do a postgraduate course and decided to stay. 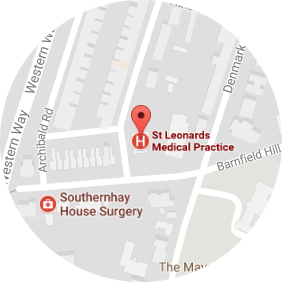 Jo joined the St. Leonards medical practice in 2008. Jo has been involved in many different sports over the years and many (such as football, cycling, tennis, cricket, triathlon and Martial Arts) to a competitive level. This has provided Jo with first hand knowledge and personal experience of treating many injuries. This may well be of interest to those suffering from, for example, shin splints, Achilles tendonitis, recurrent knee pain, hip and groin pains, shoulder impingement, tennis/golfer’s elbow etc... as Jo can offer specialist osteopathic treatment of sports related injuries. Rollover for details of where (and when) Jo practices. 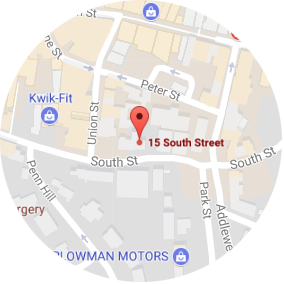 Click 'G+' icon for Google Map. Click the 'f' button below to visit our Facebook page. "I found Jo to be an experienced, talented and listening professional, who delivers osteopathy with care, empathy and a fitting sense of humour (when appropriate)." "Jo located the symptoms of my pain and discomfort from my 1st appointment and has performed effective and lasting treatment." "This man is a witch. If you have a bad back go and see him!"